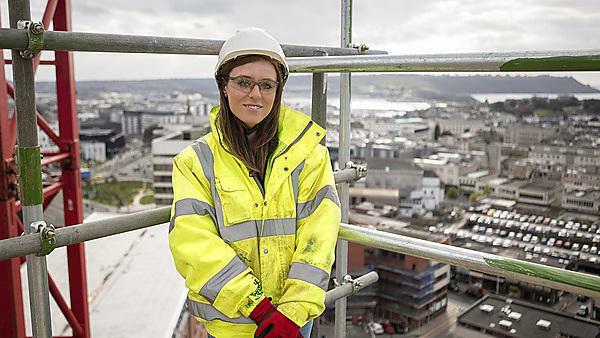 Since graduating in 2013, Chloe Dean has become a Site Engineer for LG whilst also setting up her own CAD freelance business. I took about two years out to raise my son and to have my daughter. I started working as a Site Engineer with LG in August, 2015. I set up my own CAD Freelance business in January, 2016, but have been focusing mainly on my Site Engineering career three or four days a week and spending the rest of the week with my children. The best thing in my career was to take on my own site for the first time; I enjoyed the responsibility and had to rely on myself to carry out all aspects of engineering that was needed. I wouldn't do anything differently since graduating. I now work three days a week and spend the other four days with my children, which gives me a great work-life balance. I get to travel all over the South West of England on a wide variety of sites, working mainly outdoors which suits me perfectly. I would have focused more on independent research; I would also have made more use of the lecturers and the University services, such as the Writing Café, for advice and help in subjects where I was struggling. I spent a lot of time in the library and also made use of the CV writing advice service in The Hub; however, in hindsight, I would have used the services much more and I encourage students to make the most of what the University has to offer. Hearing anecdotes from many of the lecturers inspired me to continue on the path of engineering; many of them had travelled around the world with their jobs and this changed my career plans. Initially, I only wanted to stay in the South West, but now I am considering jobs in other countries in the future, when the children have grown up and I've gained more experience. The course was varied and the range of modules covered was great, which prepared me for entering the engineering industry. With hindsight, I would have liked to have learnt more about the physical building process and materials involved in construction, but the journey after graduation is always a learning curve. Plymouth is a great place to study. The new Marine Building provides a great facility to undertake practical sessions on the civil engineering courses. The atmosphere and development of the campus is great and the course was enjoyable. The city is experiencing a boost in its economy with major projects underway, many of which I have been involved with as a Site Engineer.